Just over seven months ago I released a blogpost named ‘Application Layering Questions? I got answers. Graphical cheat sheet included!’. A lot has happened since then. And although the above mentioned blog is still very valid regarding it’s content, the cheat sheet itself could do with an update. A version 2.0 if you will. 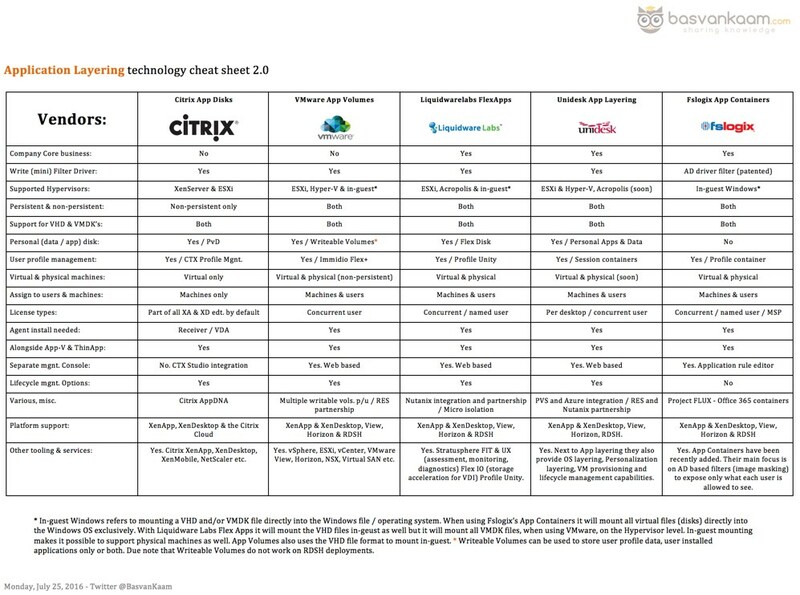 Quelle: The application layering technology cheat sheet, version 2.0!